The Bosnian Pyramid of the Sun at Visoko. 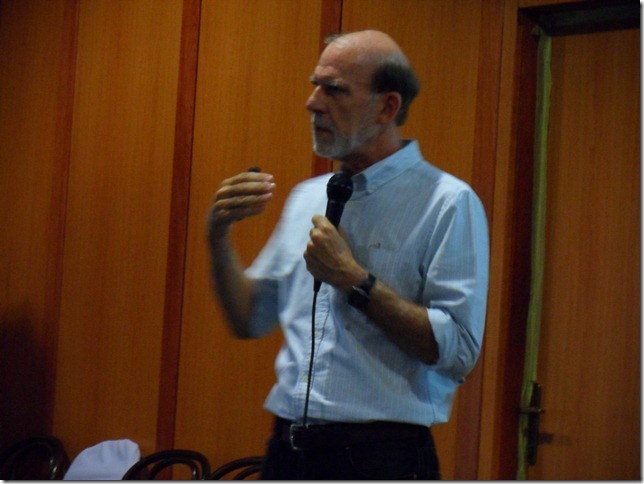 Report by Paul A. LaViolette, Ph.D. Right end of the press conference table showing Dr. Osmanagich, Valery Uvarov, and myself. 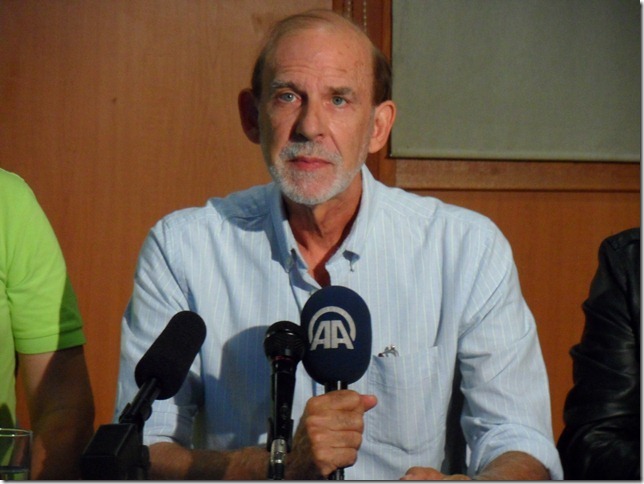 Paul LaViolette at the press conference held September 6, 2014 in Sarajevo. I lectured later that day, speaking about the gigantic ice age floods that once swept through that region, how they covered the pyramid with flood deposits. I also spoke a bit about galactic superwaves and about advanced science concepts encoded in ancient constellation lore. The video of my lecture is posted here: https://www.youtube.com/watch?v=Ub2c3tBrWlg&list=PLZW5o98FQbmbaYXDdGueJb-wjqmEAgAQZ&index=67. On this trip I did not get a chance to travel to the Pyramid of the Moon, at which site the volunteer archaeologists have also made some extremely interesting findings. Nor did I see any of the other lesser pyramids. So as a result, this discussion will focus more on the Pyramid of the Sun and the tunnel system whose main entrance lies in Ravne about 3 kilometers from the Pyramid of the Sun. 2) The pyramid of the Sun is oriented with respect to true north with an error of only 12 seconds of arc! This orientation is far more accurate than that of the Giza Pyramid which has an orientation error of about 3 minutes of arc, 15 times greater! The other pyramids are also oriented with respect to true north. The three largest pyramids, the Pyramid of the Sun, Pyramid of the Moon, and the Pyramid of the Dragon are each separated from one another by approximately 2.18 kilometers with an error of less than 2 percent, to form the three apexes of a near perfect equilateral triangle. Natural mountains simply don’t arrange themselves with this kind of precision to form such geometric patterns. 3) This pyramid complex is the oldest known man made structure in the world. 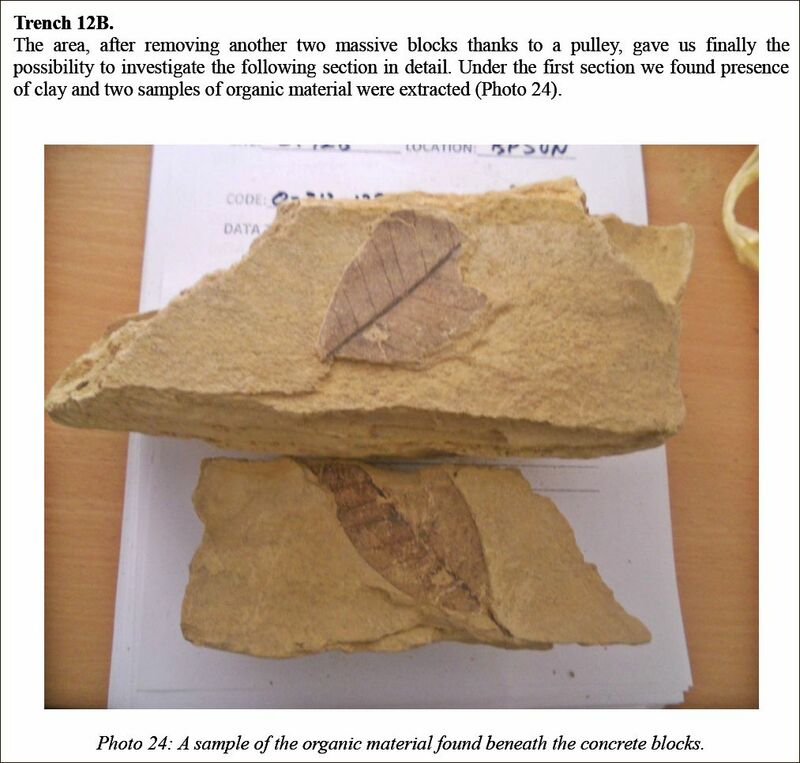 A radiocarbon date on a fossilized leaf found under one of its concrete slabs indicates an age of around 33,800 calendar years before present (~29,200 C-14 years BP); see photo below. The Cariaco Basin-Hulu Cave radiocarbon calibration chronology requires that a correction of ~4600 years be added to the radiocarbon date to compensate for C-14 reservoir changes.) Other radiocarbon dates back up its antiquity. This places the pyramid’s construction in the middle of the ice age, about 6000 years after the extinction of Neanderthal man which had occurred about 40,000 calendar years ago. Another radiocarbon date was secured on organic material found above a concrete slab and beneath the overlying clay deposit covering the pyramid. This indicated a later burial date of 24,800 C-14 years BP, equivalent to 30,000 calendar years BP, which supports the earlier date for the pyramid itself. 4) The main structure of the pyramid is constructed of a concrete made from a gravel conglomerate that was mined from a flood conglomerate layer that underlies the pyramid and adjacent area. Evidence of this excavation is the existence of a vast network of many kilometers of tunnels present in the region surrounding the pyramid. The concrete has been laboratory tested and been determined to be of artificial origin, not natural origin. Tests have shown that it has a hardness and resistance to water penetration equal to the best concretes achieved in this 21st century. Analysis showed that its fabricators made their concrete by mixing their mined conglomerate rock material with a special cement binder made of roasted lime and clay. The concrete was cast to form large slabs that were separated from one another by clay layers for greater structural stability. Also the builders used an slab interleaving technique that also improves structural stability. Although, this may not evoke the aesthetic appeal of the polished stone surfaces evident in some ancient monuments, the choice of the construction method nonetheless evokes an appreciation of brilliance, one that allowed efficient fabrication of the pyramid structure encasement from raw materials available in the local vicinity. 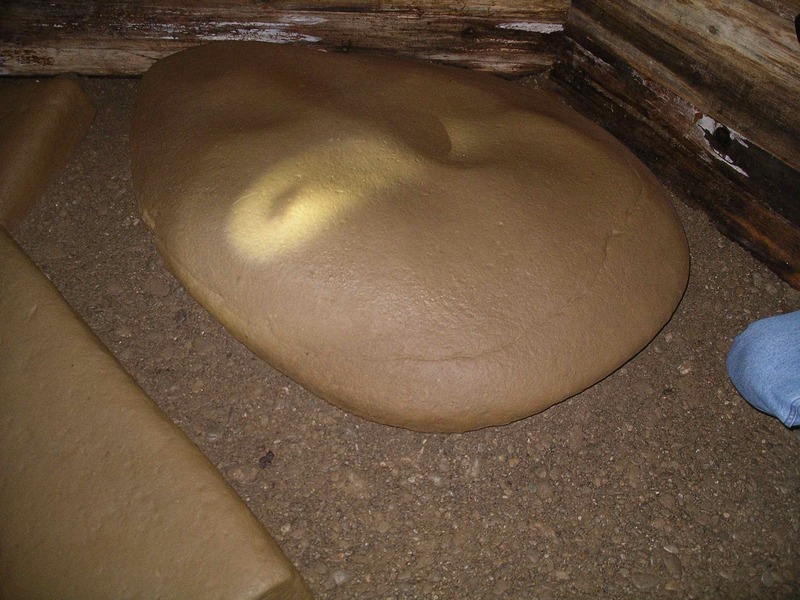 Concrete slab layer forming part of the side of the Bosnian Pyramid of the Sun excavated on the North side. Another section of concrete slab excavated on the North side of the pyramid. The pyramid is covered with ice age flood deposits which are deeper on the south side of the pyramid. I propose that these deposits that buried the pyramid were transported by giant avalanche-like waves of glacial meltwater (what I call continental glacier waves) which came from the North, the pyramid being then located about 600 kilometers south from the southern edge of the European ice sheet. 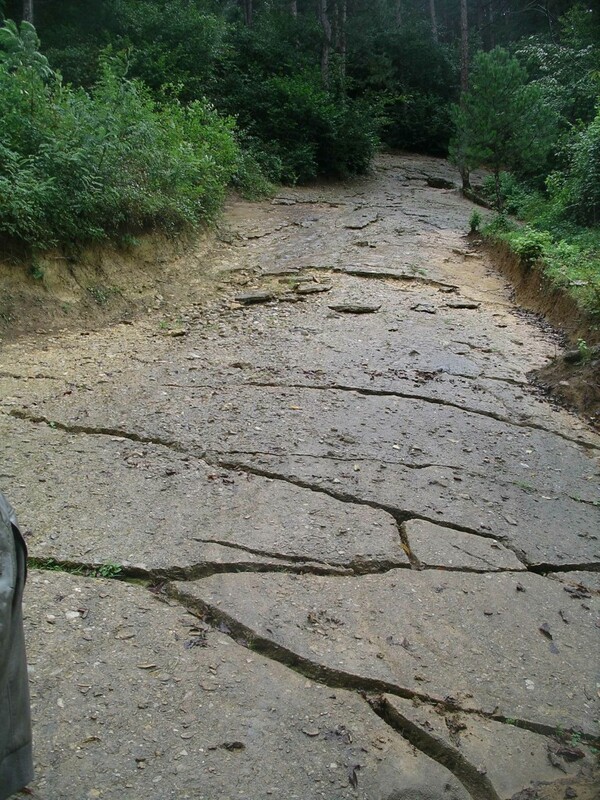 This flood assault from the north would explain why the deposits are much deeper on the south side since this would have been the leeward side where deposits would have more easily collected to a greater depth. Just the presence of these deposits which are seen to cover the Pyramid of the Sun, as well as the other associated pyramids, is proof by itself of the ice age antiquity of these edifices. 6) An electromagnetic energy beam issues vertically from the peak of the Pyramid of the Sun. It usually has a diameter of about 28 feet, but varies in size and can sometimes reach a diameter of 100 feet. Its position is also observed to move around in a radius of about 50 feet. It has a frequency of around 28 kilohertz, and is found to vary in intensity with its voltage amplitude ranging from 40 millivolts to 4 volts. Its signal may even be absent for some periods. This was found to be accompanied by an ultrasonic wave beam of similar frequency that was observed to have a diameter of 5 to 6 meters, to similarly move around the pyramid in a radius of 15 to 20 meters, and to vary in intensity and even shut off entirely for periods of 10 minutes or so. Weather was observed to affect the intensity of the ultrasound beam. Hills or mountains are not normally observed to spontaneously radiate directed energy beams from their tops. So, if anything, the presence of such beams coming from the top of the Pyramid of the Sun should indicate that its outer soil deposits are covering something that is quite unusual and certainly not of natural origin. No one knows how the beams are generated. But it is highly unlikely that the electromagnetic beam is radiated by a radio antenna of the sort most are familiar with. To radiate a 28 kiloHertz radio signal, a quarter wavelength dipole antenna would need to have a length of at least 2.7 kilometers! This is far larger than the diameter of the radiation beam itself. Moreover such antennas normally radiate over a very wide angle; they do not confine their emission to a beam. Although one possible explanation has been suggested by professor Mizdrak based on the results of an experiment conducted a few years ago which is described below. Beam emission is found in lasers but such beams are monochromatic (single discrete frequency) and this is not. Moreover no laser is known to lase at such a low frequency. Another possibility is that it might be a phase conjugate beam similar to technologies developed by the military for use in microwave beam weaponry and aerospace propulsion (e.g., Project Skyvault). But then again, this implies the existence of highly advanced technology, perhaps more advanced than what 21st century science has achieved, but in stone age times! The anomalous character of the beam is strengthened by the observation that its signal intensity is found to increase with increasing distance above the vertex of the pyramid. The beam has been detected as high as 30 meters above the pyramid using a drone, and airplane flights are planned to see if the beam can be detected at even higher altitudes. As one possibility, one might imagine that the beam may have a source above the pyramid (i.e., in space). But this would require the presence of a geostationary satellite which if present should be known to most superpower defense departments which raises questions as to who would have placed such a probe aimed down at this particular pyramid and why the military allows its homing signal to be broadcast. Another possibility that has been suggested is that the source of the beam is located hundreds of meters beneath the center of the pyramid. In 2012, a team of 16 engineers, physicists and research assistants, led by Croatian electrical engineer and physicist Dr. Slobodan Mizdrak, conducted an experiment in which they fed a 40 watt signal ranging from 23 to 33 kiloHertz through a square antenna deployed along the top perimeter of the pyramid. The experiment attempted to create an interference between their applied signal and the signal beam that was naturally emerging from the top of the pyramid. The resulting interaction was picked up by a series of electromagnetic wave and ultrasound wave sensors placed at different locations around the pyramid. They acquired 39 hours of data, about 1 gigabyte, which was recorded by a series of electronic data loggers. Using the technique of triangulation, the data was then computer analyzed at an institution for statistics in Belgrade and at another institution in Vienna specializing in advanced mathematics. The results implied that the pyramid’s electromagnetic beam originates 2440 meters below the pyramid apex, just over 2 kilometers below its base. Interestingly, this is about the same distance as that separating the main pyramids discussed above in (2). Also it was determined that the signal requires a power source of at least 10 kilowatts. Professor Mizdrak theorized that at this 2 kilometer depth there might be a large dish-shaped iron layer whose center is displaced 410 meters away from the pyramid’s central axis, about 10° off axis, and that is somehow being electrically energized to emit these electromagnetic waves and focus them toward the pyramid apex. This would explain why the signal increases in intensity as one moves upward from the top of the pyramid. That is, this subterranean antenna dish may be focusing at a point some tens of meters above the pyramid which would result in the signal strength increasing as this point of convergence is approached. But this dish would need to have a radius of 2.7 kilometers to properly emit this wave. A power source that has continued to function for 34,000 years? The thought begins to give one the chills. If it were indeed encapsulated at the time of the pyramid’s construction, this would imply the existence of a high tech fuel-less generator that has been functioning for 34 millennia. The existence of advanced technology in the ice age era does not come as that much of a surprise when we understand that highly advanced scientific concepts are encoded in ancient star lore and preserved in ancient Egyptian, Greek, and Babylonian creation myths; e.g., see the books Earth Under Fire and Genesis of the Cosmos. But as we shall see shortly, there may be a more practical explanation. These Bosnian pyramid emissions really push the ancient technology paradigm to the limits of credibility. We are reminded of the book by Arthur C. Clarke, and movie, 2001: A Space Odyssey in which astronauts unearth a monolith on the moon its presence having been detected by a signal that it was periodically broadcasting. But the existence of the signal at the top of the pyramid is undeniable, having been measured by scientists from a number of universities. Admitting that it is there and the possibility that the pyramid is associated with technology as advanced, or more advanced than our own is probably more than most mainstream archaeologists would be willing or able to handle. They would likely block out the whole matter from consideration, pyramid, tunnels, and all, no matter what supporting proof was presented for the pyramid’s authenticity. Because, to admit its existence would mean they must step into what they consider to be “woo woo land”. Show them evidence that there was organized human civilization building pyramid structures during the mid Ice Age period and they become suspicious. Show them evidence that this civilization may have been technically highly advanced and they become very angry. More than anything, the denial by mainstream archeologists reflects on their own psychological limitations when confronted with what to them is utterly unknown or impossible. A similar 28 kHz energy beam has been detected emanating from the top of the Bosnian Pyramid of the Moon. Except in this case the primary beam is found to be modulated with a beam of slightly higher frequency of around 42 kHz. This is 1.5 times higher in frequency. In effect, the 28 and 42 kHz signals would be like second and third harmonics of a 14 kHz signal. So, there is a definite indication that a resonance phenomenon is taking place within the pyramids. What was the purpose of these signals? Valery Uvarov at the 2014 conference in Sarajevo suggested that they might be spacecraft homing beam markers. Airports use the same concept. They transmit an electromagnetic homing beam that airplanes use for landing while on autopilot. Another possibility that has been suggested is that it might be some sort of communication beam. When the ultrasonic beam of the Pyramid of the Sun is electronically converted to bring its sound down to the audible frequency range, its modulations sound to some people as though it is conveying some sort of information. One other idea to throw into the works is that perhaps the builders of the pyramid did this to call attention to their pyramid structure so that future generations might be notified of its presence and not think that it is mearly a mountain, as many archaeologists persist in believing. Perhaps they knew that one day it would be covered by flood deposits and needed to incorporate a marker beacon. 7) Now here is some further food for thought to throw into the mill as another possible explanation for how these energy beams are generated. The Pyramid of the Sun is underlain by a conglomerate rock layer that also extends for kilometers into the surrounding land area where it is found to be permeated by a labyrinth of tunnels dug in prehistoric times. 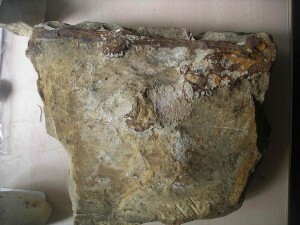 It is found that this conglomerate material contains quartzite as one of its main rock components. Quartzite is a diamagnetic metamorphic rock formed when quartz-rich sandstone or chert has been exposed to high temperatures. Like quartz, it is piezoelectric, meaning that it will generate electric fields if vibrationally excited. This principle is used to keep the second hand accurately ticking in your wrist watch. Now, it is known that quartzite grains or rocks have natural resonant frequencies that range from a few kilohertz up to many megahertz depending on their size, the larger the rock, the lower its resonant frequency. For example, in the case of a quartz crystal, a crystal having a thickness of 10 centimeters (4 inches) will naturally resonate at 28 kiloHertz. Interestingly, if we take the speed of sound in concrete we find that it is 3400 meters per second, about 10 times the speed of sound in air. An ultrasound wave manifesting a frequency of 28 ± 6 kiloHertz in concrete will necessarily have a wavelength of 10 centimeters! Just a coincidence? This means that ultrasonic vibrations generated by the quartzite will produce sound waves whose wavelength (12 ± 3 cm) approximately matches the dimensions of the quartzite rocks that are resonating at this frequency and hence will sympathetically reinforce their vibration causing self-amplification of the resonant vibration! This makes one wonder whether the ancient architectural plan to construct a pyramid encased in concrete made of embedded quartzite may have been purposefully done as a way of amplifying a resonance that was naturally present in quartzite rocks of the proper dimension. Moreover because these quartzite rocks are piezoelectric, they will be producing an oscillating electromagnetic field of the same or similar frequency. Of course, quartzite will have somewhat different resonant frequency than the example given above for quartz, and this will depend on the impurities present in the rock. But, in general the resonance will have a wavelength size that will center around quartzite rock inclusions of about the size that are found in the concrete and conglomerate layers. If the quartzite conglomerate making up the concrete encasement of the pyramid and also the underlying naturally present quartzite conglomerate layer are radiating ultrasonic and EM waves at this particular frequency, then it is conceivable that the resulting electromagnetic wave component could be focused by the iron dish-shaped reflecting layer that Dr. Mizdrak has theorized might underlie the pyramid, and thereby be directed upward toward the pyramid apex. So actually the observed electromagnetic energy beam may be deriving its energy ultimately from the pyramid’s ultrasonic energy waves and their resonance with the quartzite in the rock conglomerate. An ultrasonic wave component has been discovered coming from the Tumulus in Vratnica, an artificial conical hill located 5 km from the Pyramid of the Sun. It is 35 meters high and constructed of clay, concrete and bi-layered artificially made megalithic blocks, some weighing as much as 24 tons. Its artificial beam was found to be much more discontinuous than that coming from the Pyramid of the Sun. Also its sound emissions were found to be emitted far off from the center of the tumulus. The signals have also been measured in the tunnel labyrinth system adjacent to the Pyramid of the Sun but the ultrasound component there was very weak and present only deep within the tunnel system. Also an infrasound component was present there in the 7 to 10 Hertz range, hence in a range that corresponds to the fundamental frequency of the Schumann electromagnetic resonance. Hydrophone recordings conducted in water pools within the Ravne tunnels showed the presence of ultrasound oscillations at 24 kHz and one octave up at 48 kHz whose amplitudes changed in a rhythmic manner. A 38 kHz frequency also appeared erratically. Interestingly, this is 14 kHz higher than the 24 kHz frequency, a difference frequency that is half of the 28 kHz frequency reported coming from the Pyramid of the Sun. Researchers were getting too much environmental noise to get reasonable ultrasonic measurements for the Pyramid of the Moon. There are plans in the future to make hydrophone measurements there. So what is the source of this vibrational energy of over 10 kilowatts that excites this quartzite resonance? One source might be natural seismic noise in the earth arising from movement of the Earth’s tectonic plates and ongoing mini seismic events. Seismic studies have found that the region around the pyramids is unusually quiet. Could the pyramid be acting as a seismic energy accumulator that dampens earthquake activity in its vicinity? Intriguing! Or this energy may come from the 7.83 Hertz Schumann electromagnetic resonance that comes from all parts of the sky due to oscillation of the Earth’s ionospheric layer. This Schumann frequency lies nowhere near the Pyramid of the Sun’s 28 kiloHertz resonance, but interestingly scientists have measured a 7.8 Hertz signal in the EM signature observed coming from the Pyramid of the Sun. So likely it is somehow tied into the resonance phenomenon that takes place there. Of course, this theory is presently somewhat speculative being based on a paucity of information. Research needs to be carried out to measure the actual speed of sound in the pyramid’s concrete slabs, the resonance characteristics of the quartzite found in the concrete and in the natural conglomerate layer. But for those of you who have any doubts about this theory, I encourage you to come up with a better explanation. It is indeed a mystery that needs explaining. 8) A very large number of ancient artifacts have been retrieved from the underground tunnel labyrinth, some even inscribed with runic-like symbols. Since these date from the time of the tunnel construction and before its Neolithic date of being sealed off, they testify to the authenticity of the Visoko tunnel site as being made in prehistoric times. 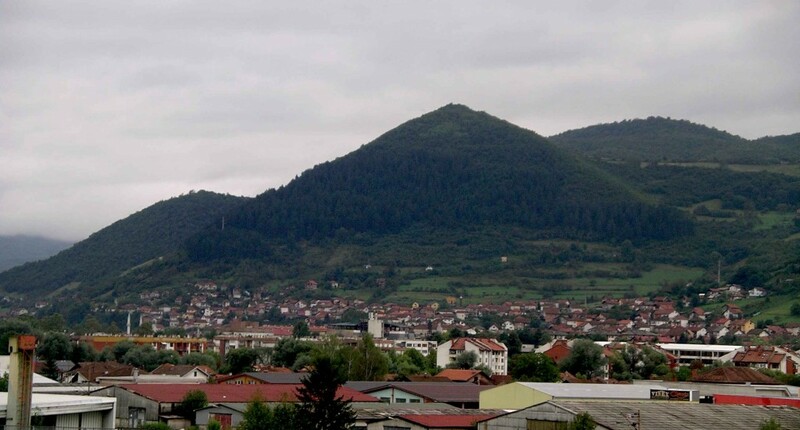 The artifacts are exhibited in the museum and archaeological repository of the Bosnian Pyramid of the Sun Foundation. I had a chance to view some of them and they are very impressive. A few are shown in the photos below. The stone with rune-like writing was found in Ravne in 2006. The stone bearing a pigmented effigy at one of its ends and easily held in the hand was found in association with 20 other stone artifacts buried under conglomerate. According to curator Timothy Moon, organic material in this same stratum yielded a radiocarbon date of 20,100 C-14 years BP (i.e, ~24,500 calendar years BP). Interestingly, both this date and the 30,000 calendar year BP date mentioned earlier correlate with the dates when ice age mega tsunamis would have swept over Bosnia. The first correlates with the date of Heinrich Event 2 and the second correlates with the date of Heinrich Event 3. 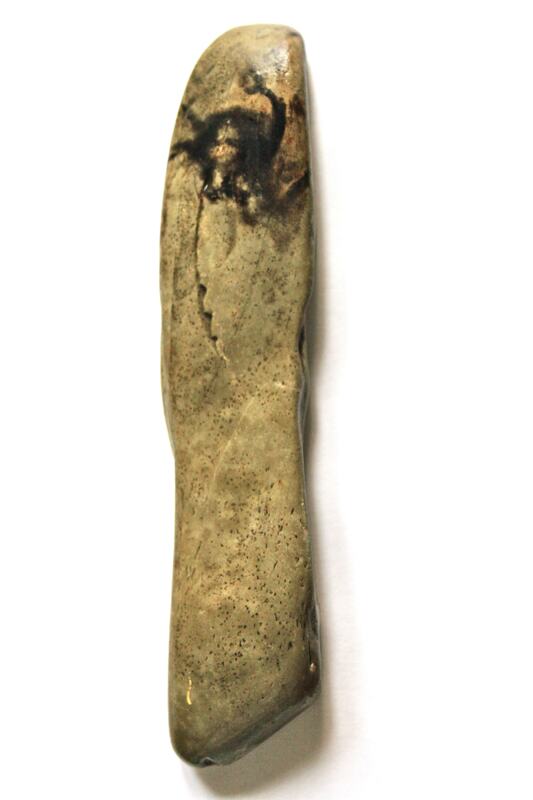 One particular piece, which I found extremely interesting, is a piece of ceramic that contains what appears to be a rusted ferrous bar (fourth photo below). It was found in a valley immediately next to Vratnica. Future analysis will confirm if this inclusion is indeed rusted iron. If confirmed, it would push the iron age back to the mid ice age period, with the tantalizing possibility that these pyramid builders were employing metallic machinery in the excavation of the tunnels and in construction of the pyramids. This again would challenge the limits of credibility of the standard archeologist. Information about the archaeological findings at the Ravne site may be found in the report by Timothy Moon (see reference below). Sam Osmanagich leads the way into the Ravne tunnel complex. 9) Within a few kilometers of the Pyramid of the Sun a vast system of tunnels has been discovered, situated from 5 to 25 meters underground, and excavated within a quartzite-rich conglomerate layer apparently deposited by an earlier flood. The main entrance to it was discovered 2.9 kilometers from the Pyramid of the Sun and is in a region locally known as Ravne. Some tunnels in this labyrinthine network extend several kilometers underground and these have branch tunnels that split off about every 20 meters or so. Also every so often along their length a tunnel will widen into a room-like chamber from which other tunnels branch out. One such chamber that has a ceiling height of 4 meters serves as a hub for eight tunnel passages. 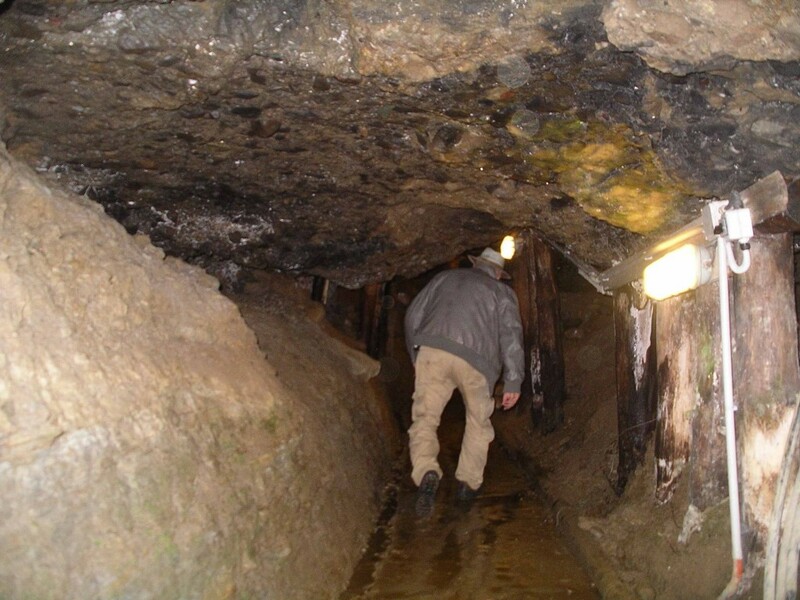 Ground radar indicates that the tunnel system being excavated will ultimately connect with chambers below the pyramid. So Dr. Osmanagich feels that within a few more years of excavation efforts that they will be able to penetrate to the interior of the pyramid. apparently sealed off the tunnels by meticulously filling them in with gravel (similar to that forming their walls). This sealing off is believed to have occurred around 3000 to 5000 years ago. It is a mystery why they were motivated to close off the tunnels. For, to do the job that was done would have involved an enormous amount of labor, hundreds of man-years of work. These tunnels extend for several kilometers and have branch tunnels splitting off every 20 meters or so. The entrances to these branch passages are consistently blocked with a “dry wall” made of carefully placed large stones without use of mortar. Behind the dry walls the tunnels are entirely filled with gravel that is similar to that filling the main tunnels whose passages have been recently cleared and opened up in the ongoing archaeological dig effort. 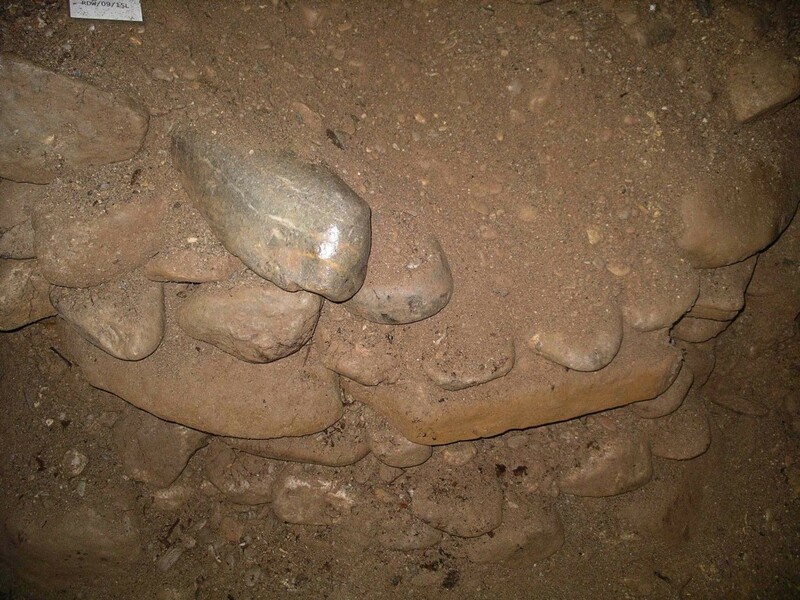 The fill gravel is of a loose consistency which makes it easy to distinguish from the more cohesive conglomerate material that forms the walls of the tunnels, thereby facilitating the excavation process. The meticulous filling in of the tunnels calls to mind the purposeful burial circa 8,000 BCE of the prehistoric temples found at Göbekli Tepe in southern Turkey and which themselves date back more than 11,500 years. In Bosnia, as in Göbekli Tepe, was the newer civilization trying to hide and forget the past? Or were they trying to preserve the past for later discovery in the future? It is a mystery. A video of our journey into the tunnel complex is posted here: https://www.youtube.com/playlist?list=PLZW5o98FQbmY0p-9YHkwr8XuODUKo9zNX. I can be seen in the video at about minute 29:45, 37:25, and 41:00. Drywall sealing off a branching tunnel passage. 10) After examining the Ravne tunnel labyrinth during my tour in September, I became convinced that this ice age civilization had excavated it to create an underground refuge space where their people could take shelter from episodes of elevated cosmic ray bombardment. My astronomical and geological research had shown that galactic superwave cosmic ray volleys and mega solar flare conflagrations had recurrently plagued the Earth during the last ice age. This is substantiated not only by astronomical and geological evidence outlined in my writings (e.g. in Earth Under Fire), but also in the many legends of the burning of the Earth by the Sun that have been handed down from the past in cultures all over the world. The largest such cosmic ray event to occur prior to the time of the excavation of the Bosnian tunnels and pyramid construction was that which transpired during the 6000 year long hazardous period which extended from 46,000 to 40,000 calendar years BP. During this period there occurred the largest Galactic cosmic ray flux event of the last 50,000 years, which is seen in the Vostok, Antarctica ice core record as a beryllium-10 (10Be) peak centered around 41.5 kyrs BP, 10Be being an element produced in the Earth’s atmosphere by galactic cosmic rays; see graph below. In my 1983 Ph.D. dissertation and 1987 Earth Moon and Planets paper, I had predicted that such peaks would be found in the ice record and proposed that they should be associated with periods of increased solar flare activity. That is, I had reasoned that upon its arrival a galactic superwave cosmic ray volley would propel cosmic dust into the solar system, which in turn would be accreted by the Sun, aggravating it into a state of elevated solar activity. Seventeen years after the Vostok data had been published, the Cariaco Basin extended radiocarbon record became available and, not surprisingly, it was discovered that, during the period spanning this 10Be spike, radiocarbon in the Earth’s carbon reservoir rose more than six fold. indicator of cosmic ray intensity variations on the Earth s surface during the past 150,000 years. Based on the Vostok ice core data of Raisbeck, et al. (1987) adjusted by P. LaViolette for variations in ice accumulation rate. 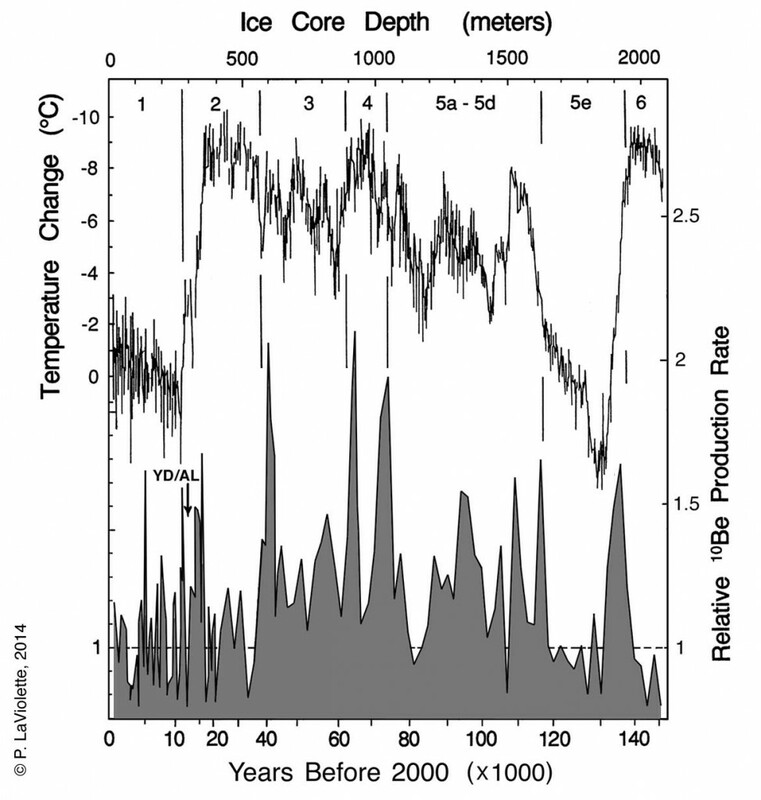 Upper graph: global temperature based on Vostok ice core deuterium isotope data. 4), a semiglaciated interval (5a-d), the last interglacial (5e), and the previous glaciation (6). The cause of this increase perplexed oceanographers because it was too large to be due to terrestrial effects such as changes in the intensity of the geomagnetic field. Although smaller scale increases were regularly interpreted as indications of increases in solar flare activity, they found it difficult to imagine that the Sun’s flaring activity would rise so high and persist in this active state for so many millennia. Apparently they were not aware of the superwave theory. Nevertheless the data leave one to the inescapable conclusion that this radiocarbon increase was caused by an extreme elevation in the intensity of cosmic ray radiation striking the Earth. This could have been due to the impact of either superwave cosmic rays or solar flare cosmic rays associated with an extended period of high solar activity. At its height, this event was far more severe and prolonged than the super solar proton event that appears to have precipitated the megafaunal extinction at the end of the ice age and which had its greatest impact in North America and Europe; see my paper in the journal Radiocarbon. The idea that the Sun was overly active during the ice age has had some support from astronomers such as Thomas Gold and Harold Zook who some four decades ago based their conclusions on studies of lunar rocks. More recently, physicist Anthony Peratt and his group have concluded that prehistoric petroglyphs found around the world were depicting auroral displays of mega solar storms. In the midst of this solar cosmic ray conflagration, the Earth’s geomagnetic field intensity became depressed to 5% of its present day value for a period of 1500 years (42,300 to 40,800 calendar years BP) and around 41,300 calendar years BP, near the end of this magnetic intensity low, the geomagnetic pole reversed for about 400 years; see paper by Bourne, et al. (2014). Geophysicists call this the Laschamp geogmagnetic reversal. The occurrence of a geomagnetic reversal during this period of high solar activity confirms a theory put forth in 1983 that at times of extreme solar storms, when the Earth’s radiation belts become overly flooded with solar cosmic ray particles and produce a powerful equatorial “ring current,” the resulting opposing magnetic field can be strong enough to cancel out the Earth’s magnetic field and in extreme cases even cause a field reversal. That the Laschamp reversal should occur at this time indicates that the solar cosmic ray bombardment that was causing this precipitous rise in radiocarbon concentration was indeed quite intense. It is no wonder, then, that Neanderthal man became extinct at this time. In Earth Under Fire, I had conjectured that Neanderthal man had become extinct within a relatively short period of time at the height of this comic ray episode. Paleontologists at that time, however, had no idea that Neanderthals might have been extinguished by a cosmic cataclysm. They were generally of the opinion that they had died out gradually as a result of competition with humans, with some enclaves of the specie living to times as recent as 20,000 to 30,000 years ago. It was only this year that a study was published in Nature magazine indicating that these earlier dates were erroneous and that Neanderthal man in fact became extinct on a particular date around 41,100 ± 1000 calendar years BP (Cariaco-Hulu radiocarbon chronology). This date coincides in time with the 10Be concentration peak and the extended solar cosmic ray onslaught, thereby confirming my prediction. It is also not a surprise that this newly found extinction date falls in the very midst of the Laschamp geomagnetic reversal with its accompanying implication of extreme solar storm activity. With the Earth’s protective geomagnetic field at near zero intensity, cosmic rays would have reached the ground in full force and any hominids spending too much time outdoors away from their cave shelters would have received a lethal radiation dose. The worst periods would have been at times when the geomagnetic field was undergoing its greatest longitudinal swings indicating particularly high solar cosmic ray activity. Homo sapiens also populated Europe for at least 5,000 years prior to this extinction event. Did they survive because they were more aware of the hazards of cosmic ray exposure? Finding that the latest dating chronologies indicate that these unparalleled events all occurred around the same time, I then realized that the ancient Egyptians had preserved a record of this same very important date in their chronicles. The King List found in the ancient Egyptian Royal Papyrus of Turin states that the predynastic “reign of the gods” began 36,620 years before the time of Menes (~3050 BCE), which would be 41,670 years ago. Apparently, the ancient Egyptian priests were marking the passage of time forward from this very important hominid extinction date. The beginning of this period of high solar activity also coincides with the extinction of megafauna in Australia. About 90% of Australia’s ice age mammals became extinct by around 46,000 years ago, including all marsupials exceeding 100 kg, and 22 out of 38 species in the 10 to 100 kg range. Also three large reptiles and three large flightless birds became extinct there. In Tasmania the mass extinction is dated to have occurred around 41,000 years ago around the time of the Laschamp geomagnetic reversal; see paper by Turney, et al. (2008). Archaeologist John McGovern, a member of Dr. Peratt’s group, has found numerous Aboriginal petroglyphs in the Australian outback which date back over 40,000 years and which make reference to the occurrence of a solar cataclysm. 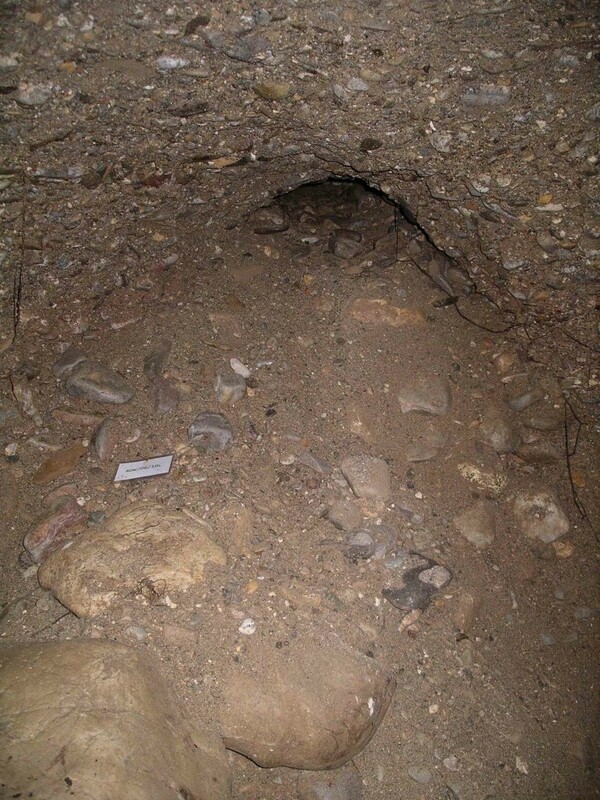 If knowledge of such a horrible event in human history were handed down to the pyramid builders, it is understandable why they would have gone to such extremes to excavate tunnels thinking that a similar event would recur. After returning from my trip to Bosnia, I did further research to check out what the geologic record tells us about the level of solar activity at the time that the Pyramid of the Sun was constructed. What I found was very interesting. In the centuries prior and centuries after the pyramid’s construction, solar activity was at its highest level since the extinction of Neanderthal! The 33,800 calendar year BP pyramid construction date falls in the midst of what geophysicists call the Mono Lake geomagnetic excursion, an event that stretches over a period of three millennia from ~35,000 to 32,000 calendar years BP; see paper by Negrini, et al. (2014). Paleomagnetic studies indicate that during the first thousand years of this event, 35,000 – 34,000 calendar years BP, geomagnetic intensity fell to 5% of its present value, as it had done during the Laschamp reversal. During this time the north geomagnetic pole swept to a western equatorial Pacific location. According to the Cariaco Basin radiocarbon record, radiocarbon levels, and hence solar activity, rose to a peak during this early phase, but subsequently fell sharply around 34,000 years BP allowing geomagnetic field intensity to spring back to a more normal level. So, more tolerable radiation levels then began to prevail. Having managed to survive the preceding lethal millennium, these ice age people likely became convinced of the need to begin building protective underground shelters. In fact, measurements that scientists have conducted within the Ravne tunnels have shown that the cosmic ray radiation intensity there is far lower than outside in the open air, as one might expect. So, the tunnels would have offered any nearby ice age residents a haven of safety. Considering that it contains many kilometers of branching passages, as well as many room-like chambers, I estimate that this subterranean labyrinth could have once held as many as a 50,000 people. Apparently, these wise architects made the right decision, having taken advantage of the ensuing cosmic ray intensity lull to complete their tunnels and pyramid, because the Cariaco radiocarbon data indicates that during the remaining two millennia of the Mono Lake excursion cosmic ray exposure of the Earth rose on two occasions, from about 33,100 to 32,700 calendar years BP and again from about 32,200 to 31,500 calendar years BP. Also a number of cosmic ray intensity upswings occurred during the millennia that followed. Presumably, these ice agers were able to safely weather these events from the secure confines of their underground dwelling. 11) The tunnel system somehow regenerates its air, always maintaining its oxygen level at 20% without any need of ventilation. Measurements indicate very high levels of beneficial negative ions in the tunnel atmosphere, 200 times higher than in the outside country air! One possibility is that the 28 kiloHertz ultrasonic vibration that permeates the tunnel somehow induces sonic dissociation of the water droplets, sonic cavitation effects perhaps splitting the water molecules into hydrogen and oxygen. Although this theory needs further testing, photomicrographs made of water droplets in the tunnel show that something excites their surface and causes microscopic water clusters to seed off from their surfaces. People say they feel energized after spending some time within the tunnels and claim to have had health ailments cured. I heard some testimonies first hand. So, many visitors to the Ravne tunnels come for heath purposes, to “energize” themselves. It is reminiscent of healing that takes place at spiritual centers such as Lourdes. 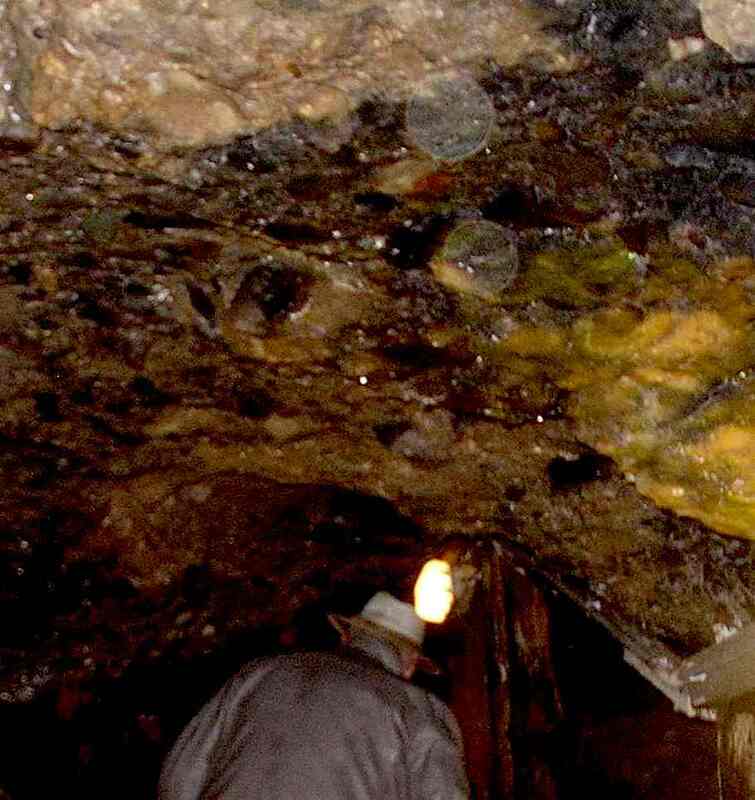 In fact, many people take home with them bottles of water taken from the Ravne tunnel which is believed to have healing properties, the energy vibrations within the tunnel system having imprinted themselves into the molecular structure of its water. 12) Large man-made ceramic stones of amorphous shape have been found in some of the tunnel chambers, some weighing up to 12 tons. Most are too large to have been transported into the tunnels and somehow must have been fabricated there. Some of these stones are inscribed with hieroglyphic writing, presumably dating from the mid ice age period. Again, this shatters all concepts of human history. You can understand why the conventional archaeological community has frowned on this excavation project: It throws all their carefully assembled theories out the window. Manmade ceramic stones in the Ravne tunnels. 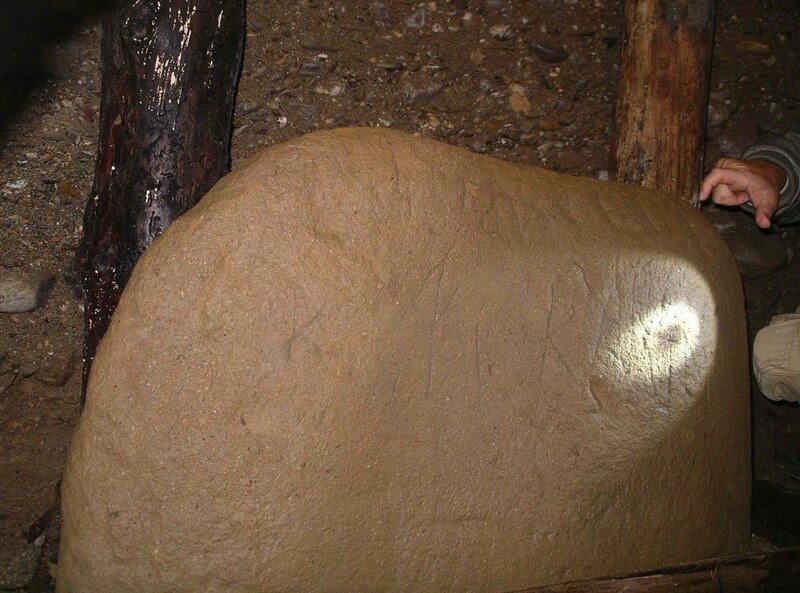 Hieroglyphic writing on a ceramic rock found in the Ravne tunnels. 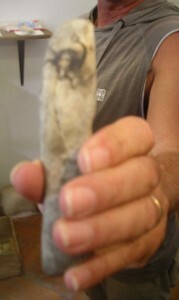 13) The purpose of the stones is not fully understood. Some theories suggest that they somehow interact with the energized environment to enhance healing effects reportedly occurring within the tunnels. People sitting around these stones and meditating or chanting have reported spiritual experiences. There is also the mystery of the luminous orbs that appear in some camera shots and are seen moving around in some videos taken within the tunnels. They call to mind the dandelion-seed-like spirit entities portrayed in the movie Avatar. In my group there were a number of people I met who showed me digital images they had just taken which showed the orbs. Normally these are not visible to the naked eye. This is not because of their size (because in fact they appear quite large in these shots), but rather because they luminesce at wavelengths outside of the visible, but within the camera’s spectral range. I guess they may be emitting in the ultraviolet. Some appeared in the very first picture I took upon entering the Ravne tunnels, but in no others. This was the shot shown above in which Dr. Osmanagich is leading the way. I have magnified a portion of this to show two orbs captured in the shot. The small white specks seen against the ceiling may also be orbs as well. Normally invisible orbs seen floating in the air in my first camera shot. In addition, below is a video of the tour of the Ravne tunnel system that I was part of on September 2nd, 2014. The tour was led by Dr. Sam Osmanagich who is seen speaking in the video along with Klaus Dona, Michael Tellinger, and Valery Uvarov who were speakers invited to the conference. I also appear in places in the video. Also, videos shot in 2014 of tourists, scientists, and volunteers talking about the pyramids project may visit: https://vimeo.com/user29144093. Here, Jock journeys into the Ravne Tunnel Labyrinth in the Bosnian Valley of the Pyramids, Visoko, Bosnia January 16, 2015: https://vimeo.com/116988994. Osmanagich, S. Pyramids Around the World and Lost Pyramids of Bosnia, The New Era Times Press, 2012. Ebook: http://www.amazon.com/Pyramids-Around-World-Semir-Osmanagich-ebook/dp/B0080Z36HG. Moon, T. Bosnian Pyramid 2013 Report, The Archaeological Park: Bosnian Pyramid of the Sun Foundation, Sarajevo, Bosnia and Herzegovina, October 2013. LaViolette, P. A. Earth Under Fire: Humanity’s Survival of the Ice Age, Rochester, VT, Bear & Co., 1997, 2005. LaViolette, P. A. Galactic Superwaves and their Impact on the Earth, Niskayuna, NY, Starlane Publications, 2012; expanded update of P. LaViolette’s Ph.D. dissertation, Galactic explosions, cosmic dust invasions, and climatic change, Portland State University, 1983. LaViolette, P. A. Genesis of the Cosmos: The Ancient Science of Continuous Creation, Rochester, VT, Bear & Co., 1995, 2004. Hi Dr. LaViolette, my name is Bill, and I’ve been familiar with your research since I purchased some years ago a copy of your book: “Earth Under Fire.” Over the years I’ve also followed the research work of both Richard C. Hoagland and Dr. Mark J. Carlotto. My question to you centers on my cultured belief that a previous technically advanced race of ordinary humans from this good earth achieved spacefaring capability, and in a rather big way reached the surface of Mars with at least human explorers, and eventually established the construction of the “Face on Mars” at Cydonia and the other “anomalous” landforms there that appear to mathematically align with the Face, including a possible summer solstice alignment. You stated evidence that the very high tech Bosnian Pyramids date back around 34,000 years b.p. Dr. Carlotto, in his excellent book: “The Cydonia Controversy,” lists several summer solstice alignments over the past half million years based on Mars obliquity studies where if you stood at Hoagland’s “city square” looking East to the Face you would view Earthrise and sunrise issuing from the mouth of the Face on Mars. Dr. Carlotto’s most recent date for this summer solstice viewing at Cydonia is about 33,000 calendar years ago. My question, therefore, is: the builders of the Bosnian Pyramids and the “Monuments of Mars,” at Cydonia and possibly elsewhere may be representative of the very same now bygone technologically advanced human (not space alien!) civilization? Could a galactic superwave event obliterate this once great culture to include possible catastrophic civilization collapse due to the use of weapons of mass destruction as civilization quickly destabilizes? Like, if we are hit by a superwave cataclysm, various countries might today mistakingly perpetrate nuclear war as our society is horrendously catastrophically subjugated to cosmic forces beyond our control? No connection between the Bosnian pyramid and Cydonia. The best argument is about Cultural ownership is that none of the nations existed, but the Modern Hungaryans the are still there. The proof is the, artifacts, writings, in the Carpathian-Basin. See: Vinca culture, see: Gimbutas signs of ancient Scythian-culture. All indicates Ancient Magyars there, see the comparison between signs-systems of the Tatárlaka and the Bosnian Pyramids. Sorry but the territory was occupied by Hungaryan related Neolithic people. I suggest you visit Bosnia to answer your questions by first hand examination. The civilization that built these pyramids were Ilyrians, or Pelasgians (same people). This is the only explonation because the whole Ballkan area was lived in by Ilyrians or Pelasgians from 3000 years BC to 395 AD(exept hellens). I wouldn’t be so sure. The pyramid dates back to 34,000 years BP. Between then and 3000 BC were a lot of years. There could have been many migrations in that period, particularly since there was an ice advance around 25,000 years BP and then floods as recently as 11,600 years BP. I am just a simple person, but after seeing your video on youtube, I was able link the pyramid and Ice Age. There should be a correlation because they both exist in the same epoch or era…whatever you call it. For me, the real question is not who made those pyramids, but why those were made, what is the purpose, what is the effect, does it cause climatic changes and are those still functioning? On your video, the energy detected by the hovercraft seems to increase above the cap or focal point of the pyramid. On a simple understanding, Pyramid acts as an energy vent by gathering ions from running ground water on its base and amplifying that energy up into open space. By doing so over a long period of time, the Earth will loose a lot of heat; thus the ice age happened. Glaciers were formed even in the equatorial zone, where pyramids are found abundant. My question: Can we use this simple technology to solve global warming that we are currently experiencing? To answer whether the energy from the peak of the pyramid is enough to cause climate change, the answer is NO. We are talking about less than 10 kw of energy, similar to a small radio station. Global warming has been proven to be due to overactivity of the Sun, not to CO2 and there is nothing we can do except wait for the Sun’s presently over active period to end. Indicators show that it is now ending and that we are due for a little ice age in a few solar cycles. With due respect, it seems you missed my point. What I mean and believe is the contrary. I believe pyramids are solution to global warming instead of cause. The energy (ions from running water) gathered from its foot is amplified upwards to the peak and thrown away into outer space. Also we don’t know the energy thrown upwards when it was operational. The 10 kw of energy is measured at present dormant stage. It seems there’s a missing or degraded component that made it inactive. You mentioned about quartz crystals that are amplifiers or maybe connectors of ions. Maybe something on its component was dis aligned or some stones were broken or the ground water table that it was hooked was diverted..etc. I very much doubt that they are. You are engaging in rather far out speculation. My writings on the Bosnian pyramid attempt to explain phenomena that have been experimentally measured. Based on what I know, they certainly will have no impact on climate. I was able to print pages 11 to 54 of the article from:The Bosnian Pyramid Complex:Signs of Technically Advanced Ice Age Civilization – The Sphinx Stargate, but, could not get the first ten pages to print. Can you supply me with them? The article is published by Nexus magazine (Australia) in two consecutive issues December 2014 to March 2015. If you are having trouble with your printer, you could purchase the magazine issues from them. I have been looking into the possibility that the pyramids could be extinct volcanoes which could give me the source of iron disc deep underground. The area of Visoko during the time of the Pannonian Basin covered most of this land. I discovered that there was extinct volcanoes in the area of the pyramids and there appears to be five extinct volcanoes. Using grid references I found it difficult to line them up as I have only atlas maps to work from. Carry on with he good work it will pay off in he end. Unfortunately, I have sent Dr Osmanagich and others that he did Not discover anything which a lot of Hungarians already knew. I have sent the good Dr. an email that showed in the 1200 hundreds The coronation of King Laudislas of Hungary and a tapestry behind him of 3 or more Pyramids around [what is] today called Bosnia, but earlier, prior to 1920 june 4, part of Hungary. sorry to disappoint anyone. Also the so called hieroglyphic is Hungarian Rovas. Fortunately, only in Hungarian speaking and understanding can you read and understand those writings. Sorry to disappoint. It would be nice if Dr Osmanagich would please stop the nonsense. He should learn Hungarian and really try understand, which I believe he does know, but keeps on with this Bosnian nonsense. The land was always part of Hungary, the Dr is trying to re-create History. Unfortunately it won’t work. Laszlo Kenderesi, President of Trianon, Toronto Canada. Actually, I don’t believe you “disappoint” anyone. So no reason to apologize. Apparently you have an agenda as you give yourself a title as “President of Trianon,” Trianon being the World War I peace agreement signed in 1920 which divided up the Austrio-Hungarian empire. Indeed, Hungary lost much territory, including the region currently named Bosnia-Herzegovina. You seem to live in the past and nurture a century old grudge. But let’s get real. This is 2016. Hungary lost that war and had to give up territory. Your claims that Hungarians already knew that there were pyramids at Visoko seems a bit far fetched. If they knew, why did they not excavate them? If they knew there were pyramids there and did not bring them to the attention of the world, then that is rather shameful. Your attitude of expecting everyone to know and understand Hungarian appears a bit arrogant. Also you imply that the hieroglyphic writings found in Ravne are precursors of Hungarian Rovas and that only those who know and read Hungarian are privy to really know the meaning of these writings. If you really have something constructive to add regarding the decipherment of these hieroglyphs, why do you not tell Dr. Osmanagich your theory instead of criticizing him. By the way, I would suggest that you let go of your claims that these hieroglyphs are Hungarian is a bit far fetched. They are over 30,000 years old. To claim modern Hungarian “ownership” of them seems a bit of a fanatical position. Also, contrary to your assertion that Dr. Osmanagich engages in nonsense, he is instead to be highly commended for his efforts in leading a largely volunteer project to unearth this important archeological site. Mr Paul La Viollette , I am sorry if I seem a bit arrogant but the treaty of trianon is very dear to my heart as is for many Hungarians. Also Hungary did not loose their land cause of loosing the war, but it was a plan which I won’t go into too much, other than to say that when Hungary was cut up, it was purposely done that all the newly created country’s were to be bigger than what’s left in order to act as a shield in case Hungary ever wanted to fight back. We did not have to give up anything ,,.. it was Stolen!! Which by the way one day will be returned some way or how,.. If you like to study anything please learn that now through DNA their is no more guessing or making up things. Hungarian is the oldest speaking language and with the writings rovas the oldest form of writing,. I would also like to say that not only Greek, but Hebrew amongst other languages came out of Hungarian rovas. And I can decipher these ancient writings through any other language that is understandable. Please let me know. This also holds truth about the so called Sumerian writings which can be read precisely up to about 80% with Hungarian Rovas, as Egyptian Hieroglyphs. If you would like to hear some one more reputable as per my self please look up Mr Nadio Michelangelo the Italian Professor, who actually learned HUNGARIAN in order to decipher some of the ancient languages. These postings are intended to deal with scientific subjects, not political. So discussion of bad deals of past treaties is of little interest to the intended audience here. The Bosnian pyramids are referred to as such due to their location in the region presently called Bosnia. Bosnia does not claim to have created them, nor does the government even acknowledge their existence. They in fact have opposed efforts to excavate the Pyramid of the Sun. Since they were built approximately 34,000 years ago, before any modern nation state was established, their real heritage should be considered global and part of human history. In fact, the excavation is made possible by an international volunteer effort. So any Hungarian-Bosnian rivalry is totally inappropriate in dealing with these pyramids and their tunnel labyrinth. I am no language expert, but I know there are others who would contest Hungarian Rovas as being a root language of humanity. Plato claimed ancient Greek to be the root language and many Greeks believe this to be the case. I am sure there are linguists that would disagree with both of these claims. Regardless of this, one must get out of the gutter of nationalism when one deals with this pyramid discovery. 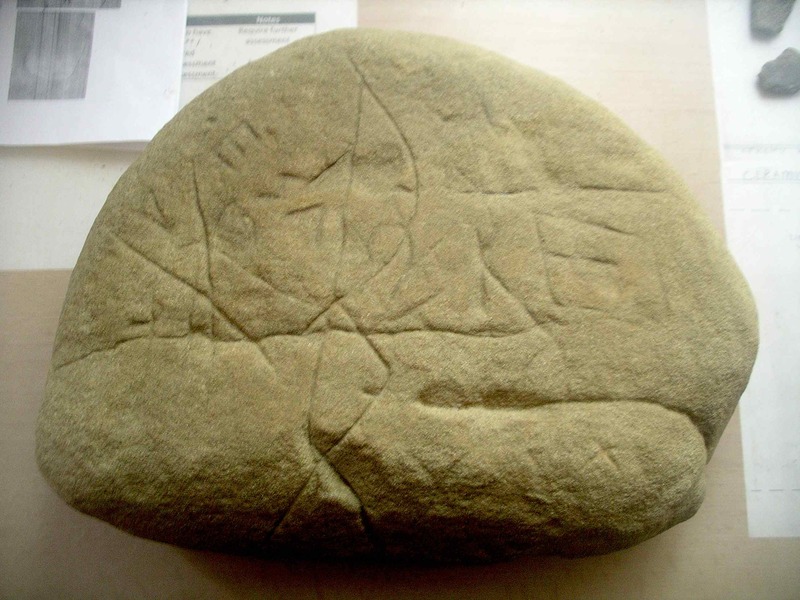 If Hungarian Rovas can help decipher these hieroglyphs and if someone can help out on this, I am sure that Dr. Osmanagich and the Bosnian Pyramid excavation project would be interested in volunteered help. Thank you so much Dr. LaViolette for this amazing article and also telling our friend kenderesi that this is 2016. As you noticed our friend still lives in past and that prevents people to be open minded and accept the facts. Sadly this is the issue in Balkan countries. Seems like they can’t let go even if event happen 500+ years ago. We need to stop living in past and work towards future, hopefully a better future for all of us. What gives me hope is people like you. Thank you agin. God bless you. I am no longer going to accept comments on this subject of Hungary and Bosnia as to which has rightful ownership over Bosnia. Mr. Kenderesi sent a somewhat inflammatory response countering your agreement with my earlier comment. But rather than continue this back and forth on this political subject which could be endless, I decided not to allow her comment or future comments or agreements by others on this. Lesley, just to let you know, Bosnia was under Osterreich/Hungary occupation one time only, from 1878 until end of the WW1 1918. Back in 1200 Bosnia was an independent country and was NOT under the Hungarian Kingdom. So the next time if you decide to have an argument about something, please be sure to educate your self about the facts before you start. tunel Ravne entrance is 2,7 km from the Sun pyramid ! And I like it a lot! I was wondering if the Bosnian Pyramids have water flowing through them and if that water is rich in Hydrogen? Don’t know. I know there is water in the tunnel labyrinth. You should ask Dr. Osmanagich. 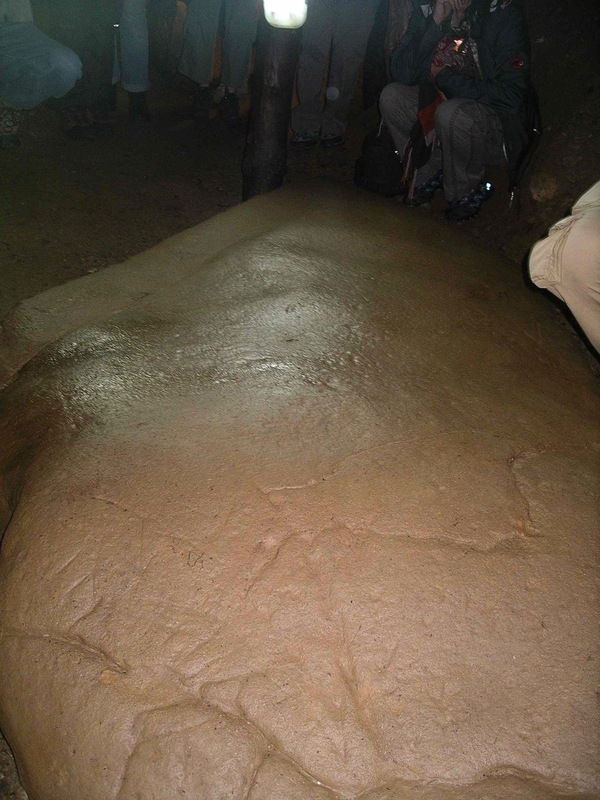 Here are the latest explorations in Ravne Tunnel Labyrinth in the Bosnian Pyramid Complex. 🙂 Amazing footage! We haven’t had success getting articles up on Wikinews or Wikipedia, yet, but with continuing positive reporting like yours, this should change soon. I hope all is well with you. 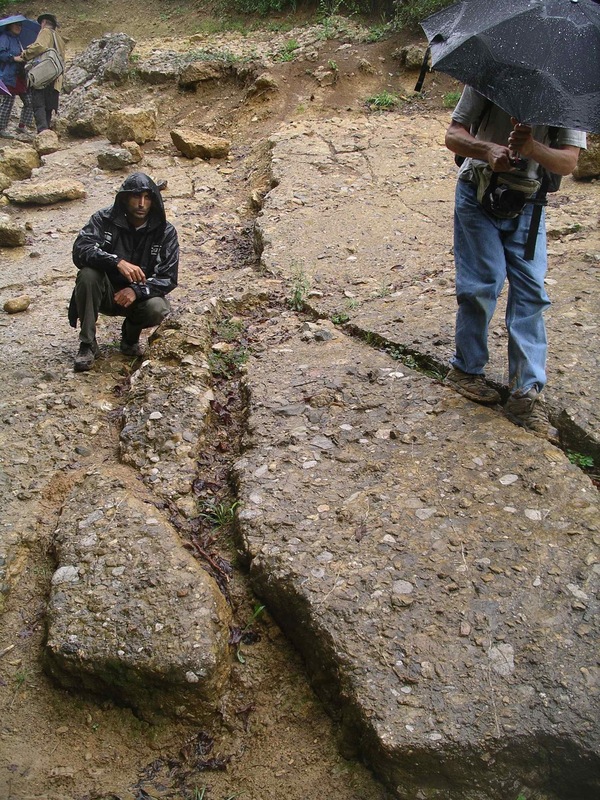 Thank you very much for your detailed and positive reporting on the Bosnian Pyramid Complex. Do you know where I can find Part 1 of 2 of your article in Nexus? Someone sent me a pdf of Part 2 of 2 (February-March issue), but I can’t find anything about Part 1 of 2 on the internet. Also, in which issue of Nexus was Part 1 of 2 published? Links to both Nexus issues are given at the top of this posting. Nice news article Jock. I am guessing that Wikinews has thought minders that unfortunately weed out all the interesting news reports and leave only the mundane that would normally be aired on network TV. I have only recently become aware of your illuminating superwave theory and find it very convincing. Unfortunately I am a bit late with this contribution but hope you are still monitoring new replies. two explanations have occurred to me which may explain it. of dead bodies as well as increasing on-comming crowd pressure blocking escape. death traps by drowning. Could it be that the chambers were simply sealed up, becoming tombs for the many dead? have been found in parts of Turkey, probably built for the same reason – sheltering from the superwaves. far older than the time of construction of the pyramid. Finally how can the date of the flood detritus covering the southern side of the pyramid be determined? A video I shot a few months ago between the Bosnian Pyramid of Love and the Bosnian Pyramid of the Sun may be of interest in regard to the question about the southern side of the latter. A stairway of alternating clay and concrete steps knits the two pyramids together. It has been neither buried nor washed away nor seemingly perturbed since construction. The odd angle of the Bosnian Pyramid of the Sun’s southern side, which is also the angle of the Bosnian Pyramid of Love’s northern side, seems therefore to be the result of purposeful ancient construction and not of natural perturbing through the ages. Regarding Ravne Tunnel Labyrinth, no bones (animal or human) have been found in several hundred meters of excavation of winding, branching tunnels and chambers. I added your video links at the end of the pyramid posting. After studying Earth Under Fire and Secrets of Antigravity Propulsion since 2007, I have a fairly advanced outline for a referenced work of my own. “Working” title: (Real Estate Opportunities) For When The NEXT ICE AGE STRIKES. Admittedly the above title is rather tongue-in-cheek. But as always, a carefully crafted title leads more certainly to a raised eyebrow and purchase “off the bookshelf”. The target audience will be skeptical yet open-minded inquirers. I draw heavily from Earth Under Fire. I also intend to address the question, re: whether there is a way to anticipate the next superwave. Fair space will be devoted to Ch.10 (Evgeny Podkletnov) from Secrets of Antigravity Propulsion. Also – – – I have assembled considerable information re: ancient VHCs, w/photos – including yours of the Bosnian pyramids. In fact, select photos downloaded from South American Puma Puncu site demonstrate conclusively that the “makers” there (and elsewhere) must’ve had considerable computing power at their disposal. More books will follow. I’m 75 and intend to get my two-cents-worth in print while I enjoy superb health. Thank you, Sir – Your works have greatly inspired me! I love the title of your book, James. Thanks VERY much, Jock . . . for the video sharing, and for your endorsement of my proposed title. “Ice Age” is taking me down several paths. One of these is ancient megalithic structures, and that leads naturally to fairly reasonable speculation about ancient manufacturing technologies – including one that has only recently been exposed in mainstream media. First title will take the longest as I still need to navigate whatever obstacles remain between selecting a publisher, etc, etc. More should follow naturally, from what I’ve stumbled upon. I had long-suspected the Rockefellers were active in suppressing naturopathic as well as homeopathic knowledge, while simultaneously promoting “managed health care” via allopathic medicine. Command-control economics exposed! During the 60-ies the Yugoslav National Army built the underground military facilities throughout Yugoslavia, particularly in Bosnia. These structures are built of thick reinforced concrete as a shelter for Josip Broz Tito and the General Staff of the Yugoslav People’s Army. Similar facilities are buried in the Velebit mountain in Croatia. I have a friend here in Visoko, Bosnia — Tarik — whose relative was in the Army. Tarik’s relative says that not only did the Yugoslav National Army (or Yugoslav People’s Army) not build the tunnels, they never used them to camp in or do anything else in. Although concrete does cover the top of the entrance to Ravne tunnel labyrinth, there is no concrete inside the winding tunnels, only hundreds of thousands of tons of fill-in material — loose sand and river stones brought in 4,600 years ago by an unknown culture to full the tunnels (but not the water channels, which for some reason were left open) — and ceramic megaliths so large that, in the case of Megalith K-5, for instance, 1,000 people couldn’t move them. Yes, perhaps Zoki was referring to another location in Bosnia where tunnels were dug. It shows that the human urge to dig tunnels for safe haven from hazards above has not changed for over 30,000 years. And please spread this to your friends ! Continuing Ravne tunnel excavations with the intention of breaking through to passages that lead beneath and into the Bosnian pyramids. 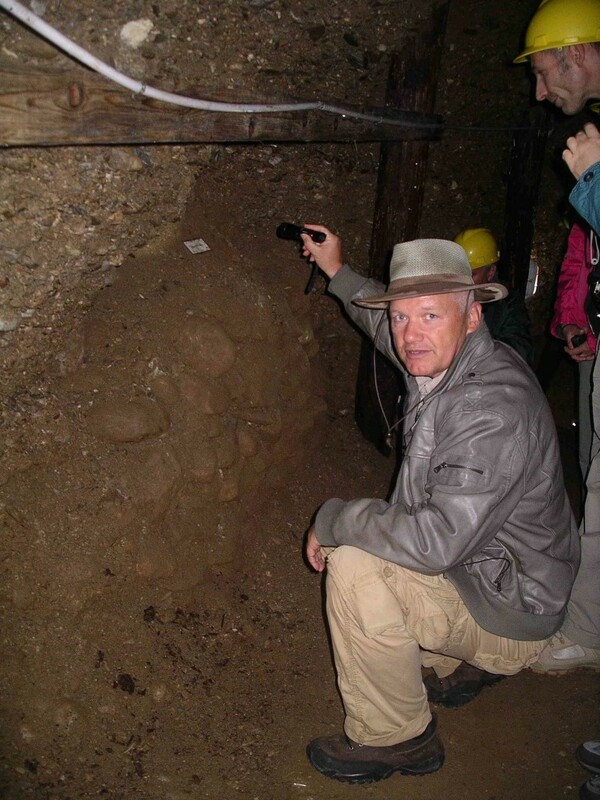 Archaeological Park: Bosnian Pyramid of the Sun Foundation has been engaged in the excavation of Ravne Tunnel Labyrinth since 2006, shortly after Dr. Sam Osmanagich discovered an ancient pyramid complex in Visoko, Bosnia. 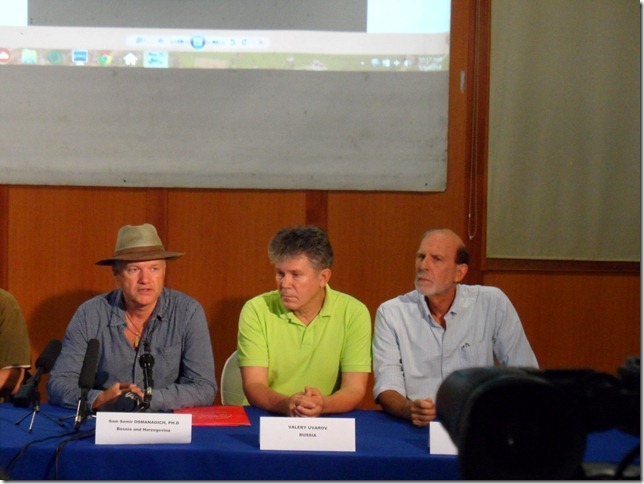 Archaeological Park, a nonprofit foundation created by Dr. Osmanagich to oversee the excavation of the pyramid complex, and its associated tunnels, hopes to continue excavations in the coming months, from November 2014 through May 2014. The Foundation is now in need of financial help to continue employing Bosnian locals to work in Ravne Tunnel Labyrinth throughout the fall, winter, and spring. It has been an incredible journey into the dark mists of history. The Foundation wishes to continue its work of discovery and revelation as the new millennium unfolds. Please consider becoming part of this leading-edge archaeological project, a project that is even now rewriting history to reflect the astonishing truth that advanced human civilizations existed in the distant past and that ancient technology was far superior to what our textbooks have told us. All of the discoveries made by Foundation workers have been shared, and will be shared, with the world — both on video and, if people choose to visit Visoko, Bosnia, in person. And thank you to M Catic for mentioning Semir’s Kickstarter project to keep Ravne tunnel excavations going from November 2014 through May 2015. Dr LaViolette, this is so incredible, thank you! Your presentation was excellent and very informative. I also was interested to follow Timothy Moon’s presentation. The amount of artefacts he has uncovered is impressive, but something he said toward the end continues to perplex me. What did he mean that some of the things can be talked about, some can’t? Has Mr Moon by any chance uncovered evidence of alien military occupation of the Earth, and fearing reprisals, has opted to keep quiet about it? I ask because the following morning after I saw the presentation I had a dream that made this reality crystal clear. Doubt you may, but in my experience dreams contain a lot of truthful information. Has Mr Moon confided any secrets to you? Will he reveal them to the rest of us soon? Alien military occupation? That’s a fairly big leap of induction! Perhaps you don’t know much about how scientists operate. Most keep things close to the chest until their analysis is done and they have a better understanding of what they are dealing with. Otherwise if they were to have premature exposure and draw erroneous conclusions that got widespread publicity, it could later backfire on them. Reputations have been entirely dismantled through such mishaps. This is especially the case with the Bosnian pyramid research since there are many opponents out there in the scientific community waiting for something to criticize with the aim of ridicule. At present there are a number of findings that have been made which are unannounced until analysis results come in. This shows that Tim Moon is operating in a prudent and well measured manner in conducting his research. Dr LaViolette, thank you so much for taking the time to reply. Perhaps I should have left aliens out of it to make my point. At this time of year around the equinox my sixth sense is at military-grade sensitivity and some of the methods of the devils would indeed be alien to most people. That said, I agree that Tim is doing an outstanding job, so well in fact, some professional archaelogists could learn from his example. And, as you point out, he works against incredibly well organised opposition, a veritable army of cynical detractors. I pick up on these things, for instance the case of the editor that was banned in a Wiki dispute over this, or Tim’s own discomfort when presenting the dates he obtained – from Ukraine of all places. So I think it will help him when he gets verification from elsewhere and in particular when he obtains new data to work with using the 3D scanning method he so impressively crowdfunded on Kickstarter! It’s a shame the dig season seems to run only during the summer, I would have wanted to wish Tim’s own little batallion of volunteers continued success. But next year, with Tim as commander again, I’m sure they have nothing to fear, alien or military! The images are phenomenal, I really enjoyed reading about the Bosnian pyramids. Question: The Ordovician–Silurian extinction has been attributed to the effects of a supernova. I was curious generally if in your research there was any correlation or association between superwave events and supernovas? Further, are there any conditions existing today that suggest a supernova could impact the earth? I am so pleased that my best friend, Kevan L. Brown emailed the link encompassing this Article to me. Both Mr. Brown and I read extensively–everything we can find on Ancient History, Archaic Art and Archaeology. We believe that the history of Intelligent Beings on Earth goes back to c.445,000BCE, and our earlier existence has waxed and waned, as it were based upon a certain cycle of Technological ‘movement’. Though we very diligently follow the exposure of every Pyramid discovered around the world. I had absolutely no information on this particular one–until Mr. Brown just recently posted the link to me. Thank you Dr Paul for such a comprehensive and expansive article, and also for your superb presentation at Hidden History Conference 2014, Sarajevo. Just a small comment on your point 5…..that the ‘access plateau’ of Sun pyramid is grassland pasture on West side. What you have photographed at 20 degree angle is excavation site No 11 on the North side, where all the major excavations are. The South side of Sun Pyramid is damaged and inaccessible. I have enjoyed volunteering at this Valley of the Pyramids for a total of 6 months over the last 2 years. I look forward to your further illuminations on the project, and hope that pyramid energies will continue to enhance your appreciation of the deeper values of life and all beings everywhere. Yes, I knew that the excavation photos shown were from a site on the North side. To clarify this I have edited the caption of the diagram to include mention of the location. Thank you for clarifying about which side of the pyramid the access plateau is located on. I was apparently wrong to think that it was on the South side. As you say, the plateau is on the western side. I have changed point 5 to correct this misconception and my related inference that this was somehow helping to buttress the pyramid from waves coming from the North. Nevertheless the fact that the flood deposits covering the pyramid are deeper on the South side supports the idea that the pyramid was at that time impacted by flood waves coming from the North. At the conference, Valery Uvarov asked me to send your complete talk to him (which I did). High praise, methinks. Thank you for sending the video link to my presentation. I have added it to the posting. I have been reading through the links posted with your evaluation of the site, and your link to Robert Schoch was illuminating. The behavior of Schoch is understandable if you understand the nature of a Zwangswirtschaft governing model, as I am sure you will be able to relate to how it has influenced your career and of others in other fields of endeavors. Since Government’s are the leading source of funding for any major work, it not surprising that some people prefer an income over the truth, specially if the truth is not politically correct. If you don’t know what Zwangswirtschaft is, I suggest you take 15 minutes and read the linked article then do an internet search. Zwangswirtschaft or Specifically, the stresses the inherently destabilizing and retrogressive characteristics of the interventionist dynamic within a market system and argues that the dislocations produced by political intervention in the market system ultimately require the replacement of the price mechanism by a completely different system for the allocation of resources based on arbitrary political decision-making. Let’s call this what it is, in the US,we Spend 1.75 Trillion Dollars annually for compliance cost’s “Zwangswirtschaft”. Thank you Dr. La Violette, for coming forward and putting your stamp of approval on this important archaeological project and for lending your credibility to witness what you term “one of the most important archaeological excavations going on at this time on our planet.” I couldn’t agree more! It’s a shame that it has taken so many years for an American scientist to come forward and investigate and objectively report on the findings and data that have been revealed about the Bosnian Pyramids, tunnels and tumuli, through independent, interdisciplinary and international investigation over these past 9 years since their discovery. You did an amazing job of summing up all the data collected, which will make it easier for newcomers to this project to catch up. And thank you for calling out Dr. Schoch, a fellow American scientist, to step up to the plate, pay another visit to Visoko, and reconsider that his initial analyses of the structures within the Bosnian pyramidal complex were incorrect! MERCI pour le PARTAGE…LES CONSCIENCES EVOLUENT…LA VERITE REMONTE A LA SURFACE… FORMIDABLE TRAVAIL MERCI à vous tous!!! Je n’ai qu’un REVE: VOUS REJOINDRE!!! Anne. – where can I find out more information about this? Nothing on the press conference about it as far as I can tell. Or you can google the words. We are already waiting for your next book on the Bosnian Pyramids! Another -real- giant leap rewriting the true history of the mankind!! Greetings to Dr. Sam Osmanagich too!!! Very interesting reading. In 2013 and 2014 I have arranged spiritual group tours from Norway with more than 200 person. Many person from the Groups have great healing experience in the Ravne tunnels. I look forward to more tours next year. I too had the opportunity to visit the Bosnian Pyramids in 2013. I can assure you that they are everything that Dr. Paul says they are, and more. What surprised me more than anything is the calm spirituality that engulfs the area, and yes I had a spiritual experiance after meditating at the ceramic stone in the tunnel. While I was there I noticed that the large stone was poured in layers, it is not a natural stone. Amazing photo’s of gold artifacts and other things found in the Grand Canyon. But nothing is as amazing the Area being shut off from the public nor the Egyptian request concerning the discovery. ” Prime Minister Nubar Pasha of Egypt was first Prime Minister of Egypt and served his first Term from January 1884 to June 1888. One has to wonder Just how much is Hidden from us “useless Eaters”, whatever status we are officially regulated to. More research is needed on this story before we can believe it. The Smithsonian denies having such artifacts and denies that they sent an investigator to the Grand Canyon. So either the story is fake, or the Smithsonian is hiding the artifacts or ooparts as some might call them. The story claims that a nineteenth century Egyptian prime minister requested that the artifacts be returned to Egypt and that the Smithsonian make no mention of their discovery in the Grand Canyon. So, there is a possibility that they abided by the prime minister’s request and did so, if that story is true. But I am a bit skeptical that the U.S. would bend so easily to the political requests of such a superpower as nineteenth century Egypt. One question I have is in regard to the authenticity of the photos shown in this article. If the items are not on display in the Smithsonian as the article claims, then what are they pictures of and from where? The only media record of such a discovery is in a 1909 western newspaper article, which had no accompanying pictures to give as proof. So one suspects that it was a hoaxed article. Uau, that is amaizing! And the conection with tunnels and the superwaves makes big sense. My thinking is that they were closed down becouse of the fall of human consciousness. They knew the cycles. In that period of time we would probably destroy the tunnels, use them as shelters in the wars and so on. As human consciousness is rising, so are the findings that make sense at the right time. Maybe we can learn how to survive big superwaves. Thank You Dr.Paul. Your work is amaizing! Amazing! Thank you Dr. Paul, for such a detailed and informative report of your experiences, as well as your lecture at the conference, at the stunningly mysterious Bosnian Pyramids. The photographs in your posting are excellent…and very much appreciated as are the links. Again, thank you for the thrilling new post!